Well, here I am again. Back after a very long absence. The misses and I welcomed a new addition to the Random Horror family with the birth of our second child. While knee deep in nappies (Diapers to my American friends) I thought it would be a good time to share with you my thoughts on the theory behind Random Horror and how I came to admire what most will never give the time of day too. It was probably around 2006 when I first decided to watch what I now consider to be a “Random Horror” film. Let me set the scene, my future wife and I decided to settle down on the sofa, as we usually did on a Saturday night with a 1.5l bottle of non-descript Vodka, some lemonade and a few films. At this time my DVD collection was just starting to flourish, the vast majority of the two tiered shelf taken up by Action flicks like Independence Day, Tomb Raider and Die Hard! Although I had always had a great love for horror films, they were never as readily available as others so it would be a few years before our collection would inflate. In fact, if I set my mind back further, I believe the first DVD I ever purchased was What Lies Beneath, an impulse buy to accompany my very first player, well I needed something to watch that night! The player itself, an unknown manufacturer but I was really desperate and low on funds. It cost a whopping (but relatively low for the time) £149.99 and the film, complete with novelty slip case set me back a further £17.99! Just think of what you can get for that amount of money nowadays! Anyway, where was I? Oh yes... Our Saturday night film would usually be picked at random from a selection of about six. We came up with a great game to choose, The “Eliminator”. Eliminator would be the start of our Saturday night in! Something changed one night though, a curve ball, something very different managed to find its way into the Eliminator, something that would influence our movie selections indefinitely! Mosquitoman! I still can’t remember how I came to be in possession of such a bizarre title and even as round after round of Eliminator, it was coming through victorious I kept thinking, WTF!? Until..... Final Selection! Such were the rules of eliminator that the outcome was binding, no matter what the winner, we had to watch it. So, without much deliberation but plenty of confused looks from the misses, I pressed the eject button on the DVD player, sat the disc in the centre of the tray and depressed the eject button once more. A whirring noise followed by several beeps indicated that this disc was real and not only that, it was playing whether we liked it or not! Now, even with my outlook being as it was, any film deserves attention! I was not expecting much from a film which clearly wore its heart in its title. MosquitoMan! 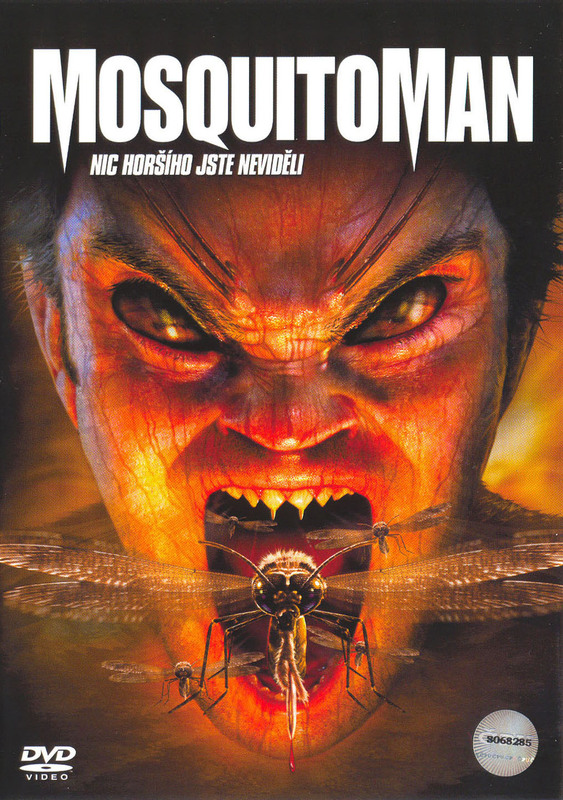 There is not much you can gather from the title other than it would possibly be about a hybrid humanoid, Half Man Half Mosquito! BINGO, you got it but at the time that was all I had to go on! This was a simpler time, a time before Smart Phones and tablets. A time when if you wanted to access the unwieldy behemoth that was the World Wide Web, you needed a computer and a phone line! Two things that in our young relationship had not been high on the priorities list! In those days, if I needed to send an E-Mail, I had to go to the library and pay 20p per hour for the privilege of sitting in a crowded room in order to “surf the net”. So, there we were enjoying the wonders of a new culture, a culture that would become the staple of our movie watching existence. Possibly to the annoyance of the misses but I think deep down, even though she rarely admitted it, she enjoys them as much as me! could simply be a film that is chosen by means of elimination and blindly picked. You could stick your hand into a bargain bin and buy whatever you grab... Random! 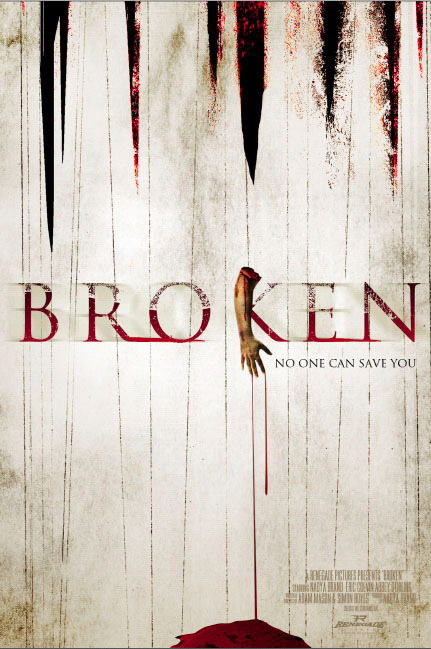 For the purposes of my little blog however, A Random Horror film is just a film that most people will either never have heard of or would never usually watch. It might even be a completely underrated film which was totally panned by critics and viewers alike. It is my experience that some people take films far too seriously, so when you get a film like Hell Asylum which possesses all of the above, I would not simply rate it side by side with the likes of Dawn of the Dead or Psycho. No, it needs special attention. It needs to be watched with almost new, naive eyes. Eyes which, until now have never seen a movie of any sort. Only then can Random Horror films be truly appreciated. It is through this method that I view every film, whether it’s a summer blockbuster or a 99p bargain bin flick. No discrimination! It is only with this understanding that I am able to subject myself to films which would normally would pass us by without concern, films which aren’t going to be nominated for an Oscar because of obvious reasons or even a Razzie because, well, they’ve never heard of them either! So, if I was trying to introduce someone to the world of Random Horror, I would give them those few instructions and tell them to watch something random, anything! 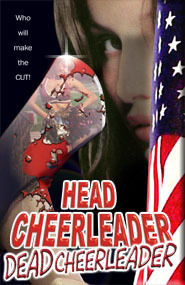 Our Saturday nights have taken us from MosquitoMan to the likes of Head Cheerleader Dead Cheerleader, Camp Blood, KillJoy, Broken and many, many, many others. next Blair Witch or Paranormal Activity and all it means for me is the pool is growing and the gap between indies and blockbusters is closing...Fast! In the last few months, films like Christopher Witherspoon’s Rage and the After Dark Original, The Task have been met with positivity and all around the world film makers are coming up with new and inventive ways of grossing us out or scaring us! Just recently, The Human Centipede presented itself with possibly some of the most uncomfortable scenes ever imagined. It also gave us Dr Josef Heiter, quite simply one of the most evil, sadistic and twisted characters ever seen! The future can only get better and as you can see, it is not hard to fall in love with Random Horror films, you are probably already in love, you just don’t know it yet! Excellent post - I couldn't agree with you more, the gap is closing, and it's also bringing the filmmakers closer to their respective audiences. By the way, aren't random horror flicks usually the most fun?